Kuala Lumpur is the national capital of Malaysia and also an important tourist destination in Southeast Asia. It has a population of over 7 million and it also receives millions of vacationers every year. Being a capital city, it offers everything including healthcare services to city residents, people of adjoining areas and the vacationers that come here for rest, relaxation and enjoyment. During medical conditions, it is time is a very important factor. There are ambulances to transfer patients and the service includes air ambulance Kuala Lumpur. Small aircrafts fitted with high-end medical facilities are kept ready to airlift patients from different points. Kuala Lumpur wants to provide high-end healthcare services to its citizens and visitors. 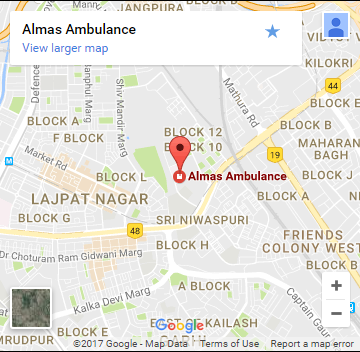 There are hospitals but the ambulance service has to be improved to provide quick connectivity to hospitals. The air ambulance Kuala Lumpur is the first step in the direction to make the city the best in healthcare facilities. Now patients don’t need to wait for removal or from the thick of traffic that could waste precious time. They can be airlifted from points like accident spots and homes and shifted to nearby hospitals. Air transfer saves time by working as a lifeline for patients.